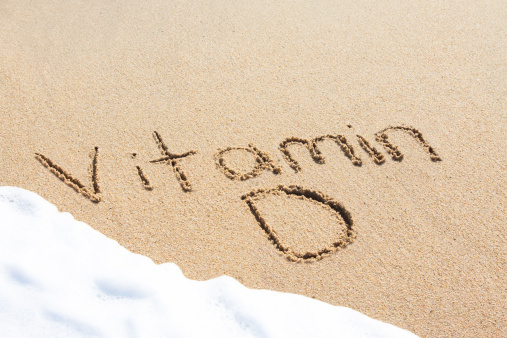 No matter where you look in the health industry, it seems vitamin D is hot right now. And it makes sense, because the best source of it is sun exposure and it is, after all, summertime. Not a week goes by when I don’t hear something new about vitamin D. Low vitamin D levels are associated with a host of medical conditions, yet researchers always stop short of saying vitamin D deficiencies cause health problems like cancer and dementia. Therefore, it’s always difficult to judge whether low vitamin D is a symptom or a cause of poor health. Now, there is no question that you need adequate vitamin D to be healthy. It’s essential for the absorption of a number of vitamins and minerals that ultimately contribute to the overall health and functioning of your body, from your muscles and organs to your skeletal frame. A new and robust study is showing vitamin D deficiencies substantially increase the risk of dementia and Alzheimer’s. But once again, this study does not demonstrate a cause-and-effect relationship. An international team of researchers examined 1,658 adults aged 65 and older. All of the participants could walk without aid and were free from dementia, cardiovascular disease, and stroke at the beginning of the six-year trial. During the trial, the researchers learned that people with vitamin D deficiencies were far more likely to develop Alzheimer’s or dementia; people with a moderate vitamin D deficiency were 53% more likely to get dementia, while those with a severe deficiency were 125% more likely to get it. Likewise, people with a moderate deficiency were 69% more likely to get Alzheimer’s, while the risk for people with a severe deficiency skyrocketed to 122%. This is the first study to confirm that low vitamin D levels translate to an increased risk for Alzheimer’s and dementia, but further examination is required to learn if vitamin D supplementation and natural sources have any impact on preventing the onset of these diseases. One of the most interesting things this study uncovered was the need for vitamin D blood levels to hover around 50 nmol/L. It was previously thought that adequate blood levels could be as low as 25 nmol/L. You can increase your vitamin D levels through sun exposure, eating oily fish, and/or supplementation. I recommend you stick primarily to oily fish and sunlight, though; the effectiveness of supplementation is still up in the air. University of Exeter, “Link between vitamin D, dementia risk confirmed,” ScienceDaily web site, August 6, 2014; http://www.sciencedaily.com/releases/2014/08/140806161659.htm.